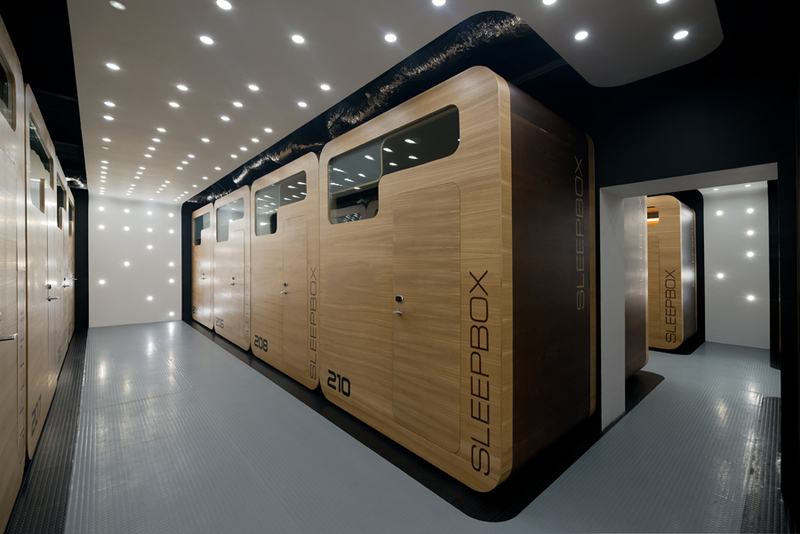 In order to maintain its position as market leader, Sleepbox are getting agressive with its 2015 new product range. In addition to the already popular Classic model, Sleepbox is launching four new products; Signature, Residence, Premier and Grand. The Classic is simply an old friend. Its simplicity oozes charm and appeals to a wide range of clients. If you prefer a natural feel, the distinctive beech effect teamed with a dark mahogany finish, the contrasting style only enhances the natural feel adding warmth and cosiness to a relaxing environment. 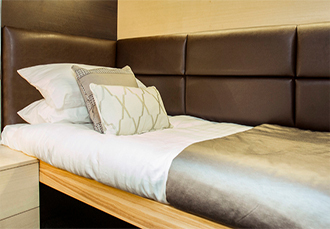 The contemporary and stylish interior is what makes the Sleepbox Signature so popular with our clients. The trendy combination of duck egg blue and cream interior give a laid back, yet sophisticated feel. 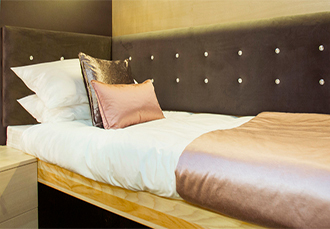 From contemporary leather studded headboards to tactile scatter cushions, our Signature look offers the perfect finishing touch to the Sleepbox interior. 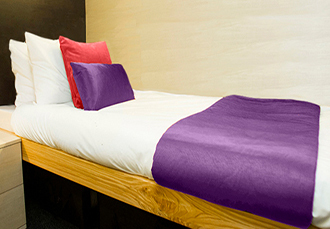 The Sleepbox Residence quickly transforms a standard Sleepbox into a world of convenience. Fitted as standard is the luxury 3 sided leather effect quilted headboard which doubles up as a dayboard together with complimentary scatter cushions. it combines a rich, yet exceptional interior which oozes poise and grace. It’s curvaceous shape, gun metal and vibrant red interior quickly entices you into the tranquil setting. 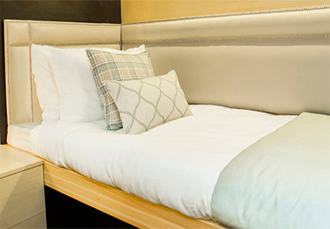 Every minute detail of the Sleepbox Grand has been carefully crafted. From its emphatic, curvaceous structure to its luxury and sumptuous interior, all features serve a purpose. 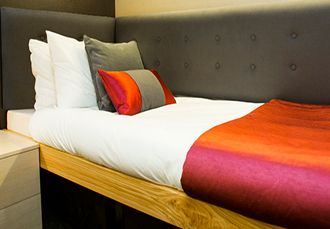 The Sleepbox Grand Single is simply the perfect setting to kick back, relax and rejuvenate.